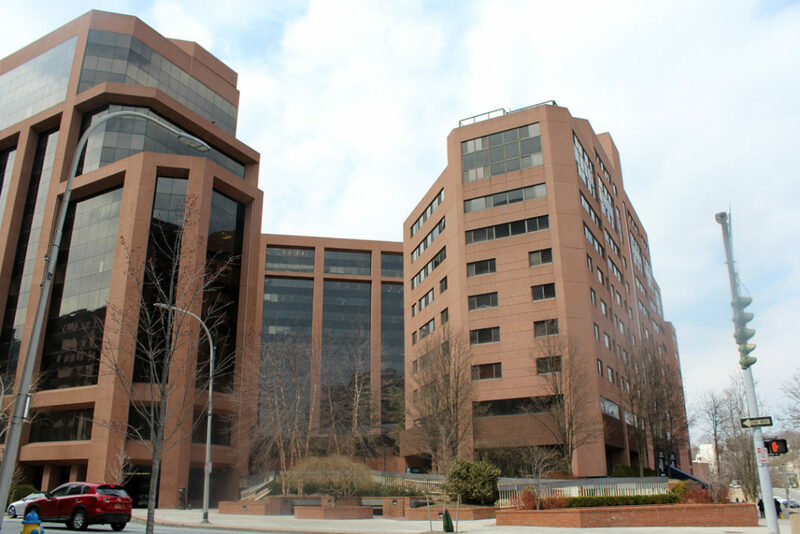 WHITE PLAINS—Avison Young’s New York Capital Markets Group reports it has arranged a $120.3-million financing package for the acquisition and redevelopment of the Westchester Financial Center, a 571,000-square-foot office complex located at 50 Main St/ and 1-11 Martine Ave. in White Plains. The buyers, a joint venture comprising Ginsburg Development Companies, LLC and Robert Martin Company, LLC, plan to reposition the entire complex and build a new pedestrian friendly, mixed-use development comprised of offices, retail shops, restaurants and luxury residences at the site, which will be rebranded City Square. The property was sold by Mack Cali Realty Corp. in a deal reported last month valued at $83 million. “Our team’s experience in structuring complex financings, long standing industry relationships, and local market knowledge allowed us to arrange a loan that provides our clients with the flexibility required to execute their business plan,” said Krasnoff. The 50 Main St. property, a 15-story, 309,000-square-foot Class A office building will be renovated with a new lobby and amenities, including a new fitness center, yoga studio, game room, lounge, and business center. Indoor and outdoor dining will be added to the café and the lobby will be extended with new art and sculpture displays. 1-11 Martine Avenue, a 14-story, 262,000-square-foot Class A office building, will be converted into a mix of luxury residential apartments and office space, with a new lobby and elevator banks. The main feature of the repositioned complex will be a two-acre central court that will include a quarter-mile “walk-around” which will pass newly landscaped areas, a water feature, sculptures, and other gathering spaces including an outdoor lounge and sun deck. The garage will also be upgraded with new lighting and signage.